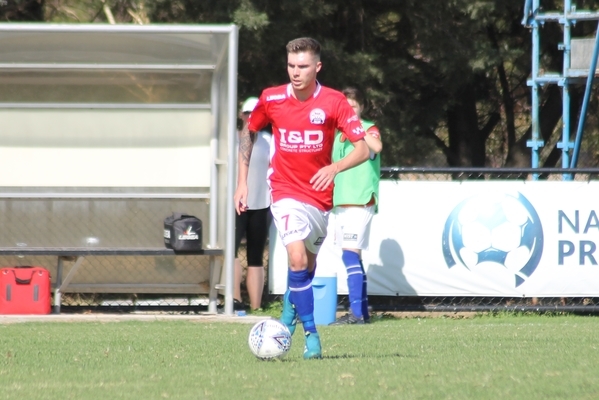 North Geelong Warriors’ biggest challenge of the season awaits this Saturday when the home-side clashes with NPL2 East high-flyers Dandenong City. Perched atop the East conference ladder for almost the entire season, Dandenong has signalled its intent for promotion from the get go. Despite an occasional hiccup, it has managed to pull away to a eight-point lead with six rounds to go. Last weekend Dandenong continued its winning ways with a clinical 3-0 win away over Eastern Lions, who are difficult to break down at home. However, Shaun Filipovic, David Stirton and Stipo Andrijasevic all had other ideas, sealing the score as they have through the year. North Geelong will need to be at its best after going down 1-0 to St Albans last week in the cruellest of fashions when defensive midfielder Andreas Miltiadou’s attempt to protect the goal from an inbound ball deflected into the back of his own net. The Warriors had a dominating performance and were creating chances throughout the contest with near-misses to Julian Cassano and Darius Madison. But St Albans keeper Robert Santilli was having none of it, with even his woodwork to thank at one point from a Jamie Noggler attempt. Warriors coach James Coutts said after the match that he could only feel proud of the way the team performed. Although the lads felt gutted immediately after the match they had a lot of positives to take from the performance, Coutts said. He planned to ask them to focus on those aspects as they prepared for the challenge ahead. The Warriors’ under-20s continued their rich vein of form with a fourth win on the trot when they went 1-0 over St Albans, Ben Tucak getting on the score sheet. Action gets underway at Lara’s Elcho Park 12:45pm Saturday.